To my surprise, the Super Soaker wasn't always clad in neon yellow and lime green. Turns out the original prototype had much humbler beginnings, with its parts being made from simple PVC piping and a 2-liter bottle. 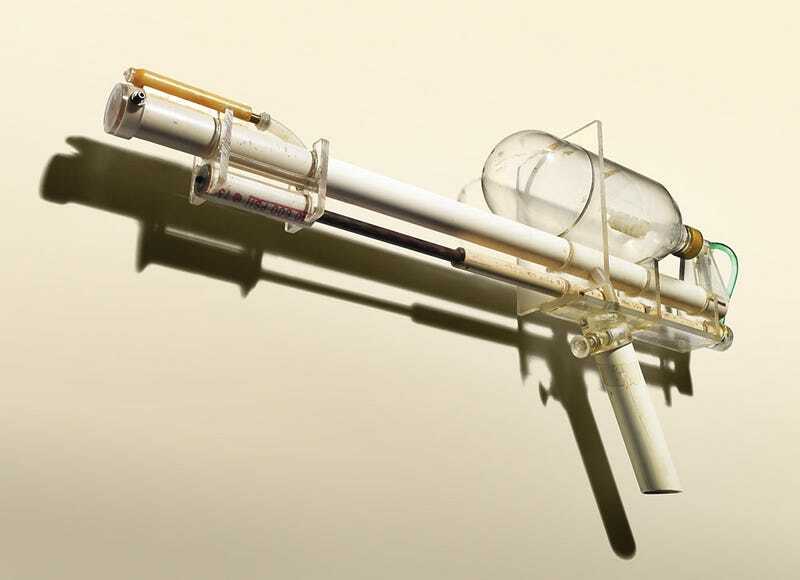 The story behind the Super Soaker is a classic case of accidental genius. Lonnie Johnson, the creator of the Super Soaker, originally wanted to build a refrigerator that used a heat pump to cool itself (and not Freon). But when he was working on his new age fridge, he noticed that one of his custom-made nozzles blasted water across the room. Lonnie, god bless his soul, realized he could put that sort of air pump into creating some sort of super powerful water gun. Originally dubbed the "Power Drencher", that idea eventually became the Super Soaker.